Drones in the city: should we ban drone hobbyists? Drones are becoming an increasingly observable feature of modern cities, from tech enthusiasts flying drones in local parks to engineers using them to monitor air pollution. And there have also been some high profile commercial trials such as Amazon Prime Air, an ambitious 30-minute delivery service. However, introducing drones into the public realm has been something of a bumpy ride. 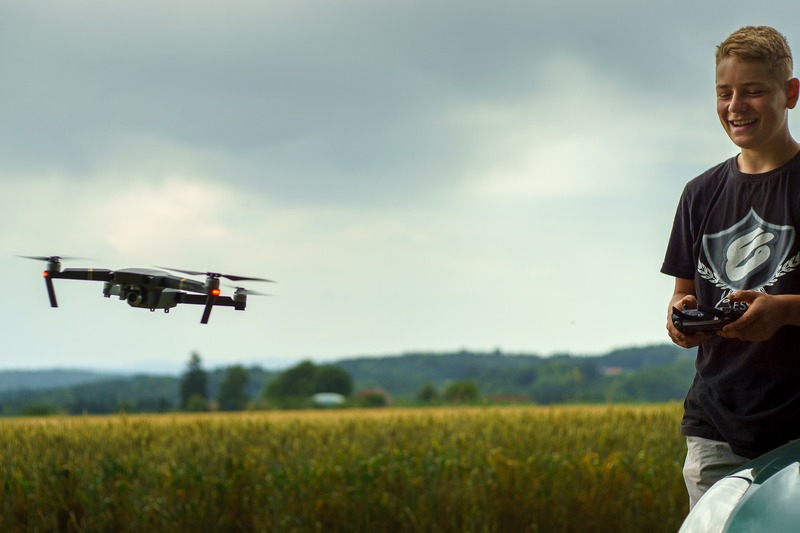 Although the Civil Aviation Authority (CAA) produces guidance to ensure drones are flown safely and legally, there has been a number of hazardous incidents. For example, in April, the first near-miss involving a passenger jet and more than one drone was recorded. The incident at Gatwick Airport saw two drones flying within 500m of an Airbus A320, with one pilot reporting a “significant risk of collision” had they been on a different approach path. In addition – and just 30 minutes later – one of these drones flew within 50m of another passenger jet, a Boeing 777. Privacy concerns have also started to emerge. Sally Annereau, data protection analyst at law firm Taylor Wessing, highlights a recent European case which held that a suspect’s rights had been infringed by a homeowner’s CCTV recording him whilst he was in a public place. Although not specifically about drones, Sally Annereau suggests this decision will have far reaching consequences, with potential implications for drone users recording in public and sharing their footage on social media sites. The Information Commissioner’s Office (ICO) has already issued guidance for drones. The CAA report that there were more than 3,456 incidents involving drones in 2016. This is a significant increase on the 1,237 incidents in 2015. Cities have often taken contradictory approaches to drones. Bristol City Council has banned their use in the majority of its parks and open spaces. Similarly, several London boroughs have introduced ‘no drone zones’, although the London Borough of Richmond upon Thames has a relatively open policy, only banning drones over Richmond Park. Further, Lambeth Council requires hobbyists to complete an application form “to ensure suitability”, a standard similar to commercial drone pilots. There have also been several accusations of double standards as large commercial operators such as Amazon receive exemptions to CAA rules, in front of photographers recording events, hospitals delivering blood, and researchers collecting data. Although cities have a responsibility to protect the public, they also have to ensure citizens are able to exercise their rights. The air is a common space, and as such cities must ensure that hobbyists – as well as multinational firms – can enjoy the airspace. Thus, it might be interesting to see cities take a more positive approach and designate ‘drone zones’, where hobbyists can get together and fly their drones away from potential hazards. Denmark’s digital ambassador: should the UK be following suit? On 26 January, the Danish Ministry of Foreign Affairs announced that they would be appointing the world’s first ‘digital ambassador’ to act as the nation’s representative to major technology companies, such as Google, Apple, Facebook and Amazon. In a follow up interview with Danish newspaper Politken, Mr Samuelsen expressed his belief that multinational technology giants “affect Denmark just as much as entire countries”. He highlighted the examples of Apple and Google whose market values are so large that if they were countries they would only narrowly miss out from inclusion in the G20 – the global forum for cooperation between the world’s 20 major economies. As a result of this economic strength, together with tech firms’ impact on the everyday lives of citizens, Mr Samuelsen argues that the technology sector should be treated as a form of ‘new nation’, which Denmark must develop closer relationships with. Technology companies are becoming involved in activities that were once reserved for nation states. For example, Mr Samuelsen’s Liberal party accepts donations in Bitcoin – an online currency which challenges the state’s role as the only issuer of legal tender. And Microsoft have signed a partnership agreement with the French Ministry of Education to provide teacher training, in order to prepare teachers for running special coding classes. The technology industry argues that it is better placed than national governments to provide effective digital services, at cheaper prices. In terms of national security, computer engineering expert and academic, Jean-Gabriel Ganascia, argues that this is probably the case. Mr Ganascia highlights that Google and Facebook have vast image databases that enable them to use facial recognition software far better than any national security service. Therefore, countries have started working with technology companies on a variety of crime and public safety issues. Citizens are also spending greater amounts of time on social media platforms. In an interview with The Washington Post, Mr Samuelsen stated that more than half of the world’s data has been created in the past two years (much of this from major platforms such as Facebook). This trend has implications for the privacy of citizens and the spreading of false information, a phenomena that has been labelled ‘fake news’. These issues are fundamentally important for citizens and nation states, and are likely to increase cooperation between countries and the technology sector. Although Denmark will be the first country to introduce a digital ambassador, another government has made a similar appointment. In January, Dr Tobias Feakin was appointment as Australia’s Ambassador for Cyber Affairs. His role focuses on cyber-security, but also includes issues such as censorship and promoting internet access. At this stage, it’s unclear whether Dr Feakin will have direct contact with technology companies and whether this relationship will involve discussions over economic issues such as taxation. Is a digital ambassador necessary? Not everyone, however, is buying into the appointment of a government representative focused solely on digital issues. Technology journalist, Emma Woollacott, believes that it’s a ‘terrible idea’. According to Ms Woollacott, Denmark already has a good relationship with technology companies, highlighting that Facebook has recently announced plans to build a new data centre in Odense, creating 150 new permanent jobs. These views may have some merit, as Mr Samuelsen has confirmed that the deal between the Foreign Ministry and Facebook was the result of three years of behind-the-scenes work. Ms Woollacott also argues that Denmark is setting a worrying precedent by equating a private company to a nation state. In her view, the importance of the technology sector could have been acknowledged through hiring knowledge staff, rather than granting it a ‘unique political status’. Marianne Dahl Steensen, CEO of Microsoft Denmark, also welcomed the creation of a digital ambassador position, but did acknowledge that the company ‘can hardly be equated with a nation’. Should the UK introduce a digital ambassador? 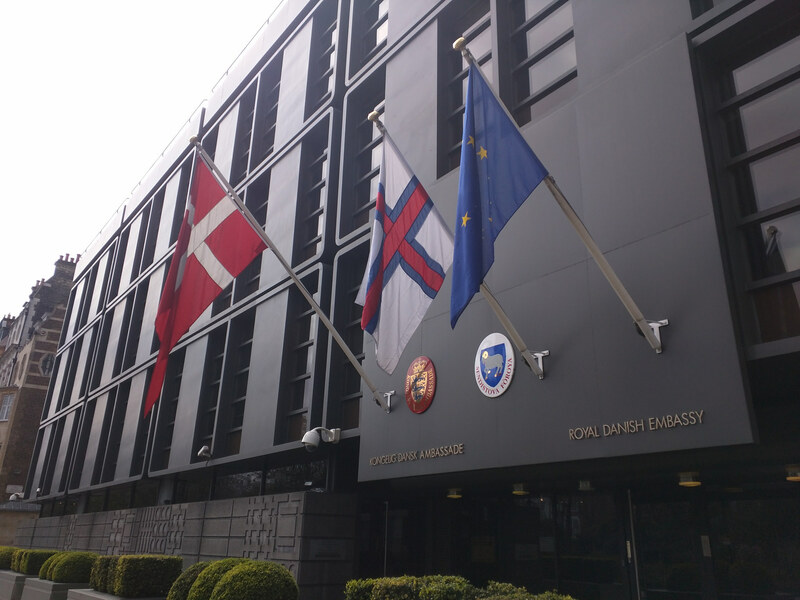 By introducing a digital ambassador, Mr Samuelsen is taking a pragmatic approach to ensure Denmark is a key player in the international digital economy, as well as attempting to manage the impacts of an increasingly digital society. Although appointing an ambassador for the technology sector poses philosophical and ethical questions, the UK should closely monitor how this new role develops and the potential benefits (and challenges) it brings for Denmark. In particular, if the new role is able to improve dialogue between technology companies and the security services on matters such as privacy, or help address the sector’s need for digitally skilled workers, then maybe introducing a digital ambassador is something worth exploring.